Mahindra's next SUV XUV700 for India Specification and image revealed! Mahindra’s next: Bigger SUV for India (XUV700) revealed! The 2017 Ssangyong Rexton will come to India branded a Mahindra, possibly using the Mahindra XUV700 name. Some time last year, Mahindra announced a brand new, 7 seat luxury SUV, which was to be based on the all-new Ssangyong Rexton. Today, Ssangyong has unveiled the new Rexton, and this gives us a picture on how the new Mahindra flagship SUV will look like, and what it could feature. Notably, both Mahindra and Ssangyong are using the same, Y400 code-name for the new 7 seat SUV. Mahindra could name the new SUV as XUV700, in keeping with its flagship status. The new Rexton has the following dimensions: 4,850 mm in length, 1,920 mm in width, and 1,800 mm in height, with a wheelbase of 2,865 mm. It will be constructed using a Quad Frame body structure using 1.5 Gpa giga-steel, something that has never been done before. To reduce weight further and improve strength, the company has added advanced high strength steel to the body. With these facts in place, expect the new Mahindra Y400 code-named luxury SUV to be quite large, with a massive street presence. While Mahindra may choose not to use the high tensile steel in its offering to keep costs low, what we understand is that it’ll use a ladder frame chassis. 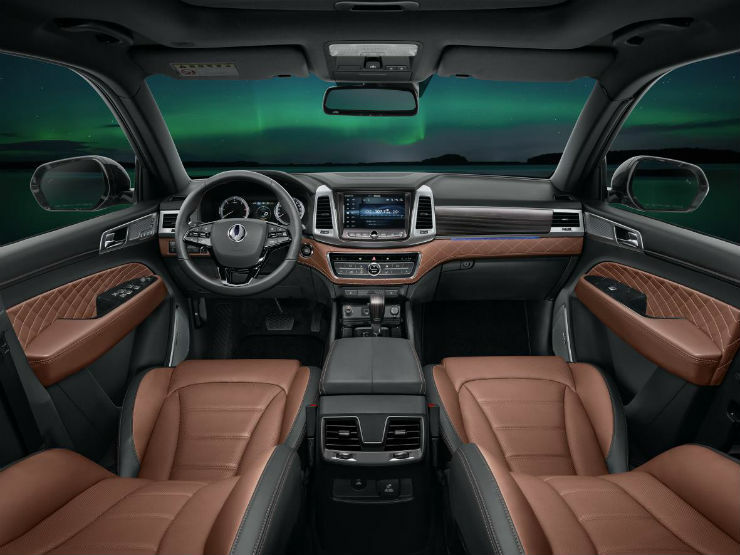 On the inside, the car is likely feature a luxurious interior with Apple Car play, Android Auto, MirrorLink, 3D around view monitoring and a 9.2″ HD screen. This will help parking the massive SUV. From the looks of it, this will certainly be one plush SUV. It will also have a large MID. India will get its crash test norms by the end of 2017, which means this one will have to comply with the norms. We expect Mahindra to load the Y400 with upto 9 airbags, ABS, EBD and ESP. The vehicle will be on offer in both petrol and diesel guise and with the option of RWD and 4×4 too. We expect the Indian version to come with a 2.2 liter turbo diesel engine making 184 Bhp and 420 Nm. Since Mahindra has decided to bring in petrol engines with all their new vehicles, a 2.0 turbo petrol is also expected with this vehicle. It will produce close to 225 Bhp and 349 Nm. The car will be offered in manual and automatic guise both, to suit all needs. We expect the company to heavily localize the car to keep the pricing competitive. Notably, Tata Motors’ Q501 and Q502 luxury SUVs will also be possible rivals to the new Mahindra vehicle. Mahindra will most likely bring it to the 2018 Delhi Auto Expo. 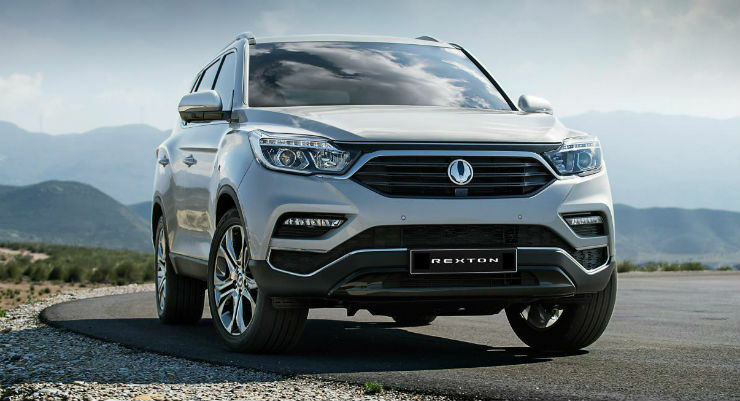 Since Mahindra has announced that it will no longer sell Ssangyong-branded vehicles in India, the new SUV based on the latest Rexton will be the automaker’s flagship offering.